The Christian communities of Egypt have traditionally been poor, especially in Upper Egypt the home of the Holiness Movement. A high percentage of their people are poor; poorest of the poor. Most are daily workers and they usually only get seasonal work. Life is tough for them made more difficult by the fact that they are an oppressed minority. They have few or no resources to fall back on and the church is their community. This partnership is about developing a loan fund from which people can borrow to start up small enterprises and so lift themselves out of poverty. The Holiness Movement has been operating in Egypt for more than a century. The early missionaries that came located themselves in Asyut, Upper Egypt and this is the heartland of the movement. It has spread from there since then, usually by following key people from within the movement who have shifted to other locations. The people within the Holiness Movement are predominantly poor and until recently they have not had anyone with a vision to do something about it. Their theology has seen them largely focusing on spiritual work rather than social, a carry over from the missionary mindset of previous generations. However younger pastors have had wider exposure and want to do something about it. They have done one or two small scale projects and have seen the benefits but by the time they take some funds from their churches for administration and their Bible School there is nothing left over to put towards the poor, despite desperately wanting to do this. They would like to establish a loan fund from which selected people will be able to borrow for the purpose of establishing small enterprises to help them become self-sustaining. A committee has been established to set it up and manage it with accountability back to the Board of the Holiness Movement. Churches will be given application forms and the pastors will identify people who should qualify. An applicant will have to pay EGP20 (just over US$1) for their application. One or two people will visit the applicant with the pastor. The Board will review applications and check the viability of it. The person must have a good reputation and some financial history. The beneficiaries will deal directly with the Board, not with the local church pastor. 25 families will initially be targeted and loans will be between EGP3,000 and 5,000 (US$175 - US$300). The first two months will be free of repayments and the loans will be for one year. They will be charged a 5% administration fee but no interest. Each person will have a close relative sign as security, a personal guarantee. The types of businesses will probably be hairdressing and barber shops, sewing and stitching, small grocery shops run from home initially, mobile phone maintenance etc. The Holiness Movement in Egypt was founded in 1895 for religious and spiritual ministries. Within the variables of the society, the church presents social ministries too in the form of medical centres, nurseries, Sunday school ministry, family meetings and counsellor meetings. A sub-group has recently been established by the denomination to try to get something started to assist their members to become self-sustaining. NB, who oversees the Vocational Training Centre (EGY01), is involved in this sub-group and brought this project to our attention. BHW's New Partnership Facilitator has known NB since 2014 and has met with the leaders of Holiness Movement on three occasions in Cairo and attended five of their church meetings in Cairo and Asyut. He has also met with their National Council and visited their Bible School in Asyut. The beneficiaries here will be selected people who are needing economic empowerment and who have a good reputation. Many of them will be widows with children who cannot afford to make ends meet. 80% of women in villages do not work so they will be offered the opportunity to do small projects to support their family's needs. All the beneficiaries will be members of Holiness Movement churches. 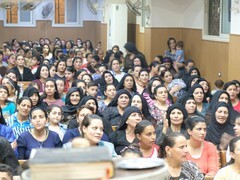 Initially they will begin working with churches near Cairo and north to Alexandria. These are good people with a real burden for their people and an attitude of wanting to learn and develop. They have a large network of people who can be helped and who are very poor. We have a good connection to them through NB. He is such a good person with a strong committment to BHW and how we operate. They are organised. The leaders are pastors primarily but the entrepreneurial ones have a good understanding of the issues and needs of their people. Dr NB is the person given the responsibility to overee the partnership and to liaise with BHW. He is married to S and has three children. He is one of the leaders of the Free Methodist Church in Egypt. He teaches in the Bible College and is the leader of International Needs, Egypt. He is also part of World Outreach and regularly attends their international meetings. Pastor RM has been ministering for 13 years. He studied social services and has experience in managing social associations. He will be the day to day manager of the programme. Pastor GEG is the chairman of the group appointed by the General Conference and a lovely man. He has been ministering for 30 years in villages and country areas. RDS has worked at the National Information Service in Egypt. He also worked at the embassy of Egypt in India for 12 years. He will be responsible for reporting to BHW. M is an older man who has had 20 year's experience in a local NGO that did similar poverty reduction loans. He is a recent appointment to the team, is an outstanding man and due to his experience is a great asset. The vision is to see a strong partnership formed that will assist many people to come out of poverty and be able to live better lives. This will have many ongoing benefits to individuals, families, churches and whole communities. They would like to be able to help more people every year so that more people will grow in their relationship with Jesus. The strategy is to develop an increasingly large fund which will grow in size and influence over many years. In five years the fund will have grown from ongoing outside investment and from the natural growth from repayments. Loans will be given to people with an idea for starting a project or to boost a business/project but not to pay off existing debt. People will be able to access loans from US$175-$500 as their enterprises grow. Priority will be given to those with the most need and who have proved faithful in the training. In the medium term the plan is for ongoing external investment into the fund. The long term goal is that the project will be self-sustaining and able to grow without external inputs but it is hard to know the timing for this. This is a difficult economy with many factors outside the control of those running the programme. Eventually they hope it will be able to provide loan funds for some larger enterprises to fund larger scale income generation activities. 90% of the amount will go to the loan programme, 10% will be used for administration and monitoring.